Bits of found film and different types of animation illustrate a classic chase scene scenario: A woman is abducted and a man comes to her rescue, but during their escape they find themselves in the enemy's secret headquarters. A girl loves an older man. He demands that she goes in a brothel, as evidence that she loves him. Unknowingly, a copy shop employee sets off a bizarre series of events with utterly unforeseen consequences. A young sailor falls in love with a mysterious woman, performing as a mermaid at the local carnival. He soon comes to suspect the girl might be a real mermaid, who draws men to a watery death during the full moon. Collection of the best segments from Cinerama movies, including locations of Rome, Paris, Vienna, Athens, Brazil, Japan, Africa, Israel and New Orleans. An analysis of the construction mechanism for the magic in dominant narrative cinema though the filming of Count Dracula, a commercial film by Jesús Franco. A sleazy evangelist makes a play for a small town's local tramp, but is shocked to learn that she prefers a local black kid over him. Furious, he stirs up the town against the couple. 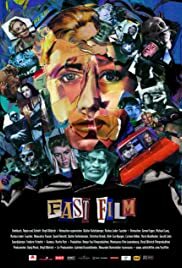 Fast film makes you realize how basically every film has the same plot just done differently (hero, bad guys, girl who gets captured, escape, chase, fight, etc.) and recreates it perfectly using clips of film entirely photocopied frame by frame and put on paper. That alone (the paper part) is amazing in itself. But I found myself just marveling the entire time as I watched this short and despite there being no one main character with which to identify, I was rooting for the hero nevertheless. It was also interesting and humorous in the way that the filmmakers made the characters seem aware that they were in a film based on certain reaction shots from other films - so it was self reflexive in this way. As I watched I couldn't help think "My God, these people have an encyclopedic knowledge of every old film ever made" since the story scripted for the paper movement cleverly parallels what's going on in the film clip(s). You have to watch this. This isn't your typical artsy short film. It is a feast for the eyes and the mind.